A little girl goes to live at her new dad’s place, which will soon prove to be inhabited by nasty little creatures thirsty for kids’ teeth. 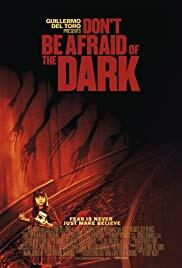 Don’t Be Afraid of the Dark is the youngest brother of movies such as Gremlins or Critters, except without quite succeeding at recreating the magic atmosphere of these 80’s classics. The fact that the creatures are afraid of the light is interesting, and well-used, but the overuse of computer-generated special effects gives to the creatures a regrettable fake aspect. They do not look cute, nor scary, but instead look like annoying monkeys. Still, seeing them evolve throughout the house and attack people as an organized little army remains pretty fun. The story is about a little girl that goes to live at her dad’s place and finds out that it is filled with nasty little creature – nothing special here. Then the broken family survives it and grows stronger out of it – classic! 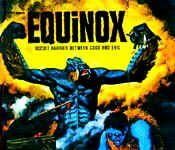 Fortunately, a simple twist at the end brings a little darkness to the movie that I found enjoyable enough to raise the rating to the average grade. The presence of Katie Holmes is enjoyable too, making the movie a distracting one – but nothing more.